The 2019 Hyundai Tucson coming soon to Westside Hyundai in Jacksonville, FL, serving Orange Park and St. Augustine, provides an incredible driving experience. This bold SUV helps you conquer every adventure with confidence, thanks to a powerful engine and a cozy interior. Find room for everyone and everything with split-folding rear seats and a generous trunk area. Play the perfect soundtrack with the standard 7-inch touchscreen infotainment display that houses multiple audio settings. Stay in touch while on the go using standard Apple CarPlayTM and Android AutoTM smartphone integration, which mirrors your favorite apps for seamless connectivity. Indulge in premium comfort with available convenience features, such as the available Qi-compatible wireless smartphone charger. The 2019 Hyundai Tucson is on its way to our dealership, so sign up to receive updates about this new SUV. We'll let you know the moment it arrives so you can schedule your test drive, but until then, we're located at 1672 Cassatt Avenue, Jacksonville, FL, for all your automotive needs. The latest Tucson sports a bold new face and solid safety advances. 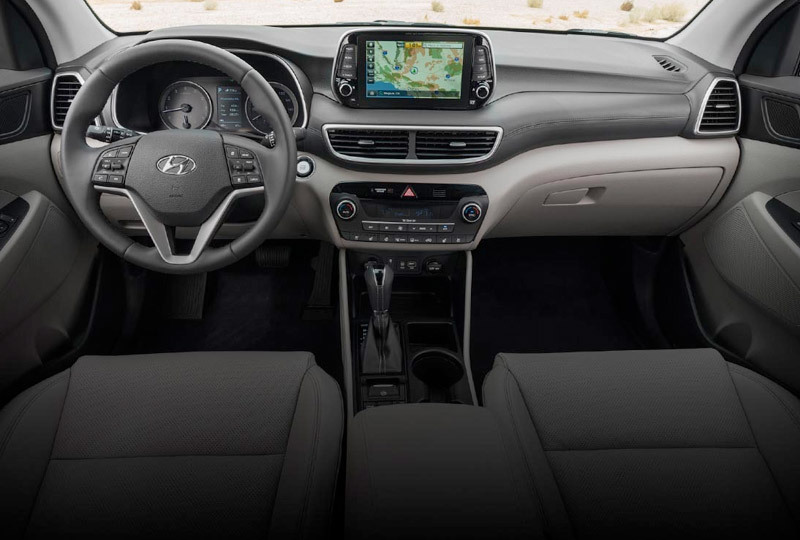 With features that integrate with your own technology and entertainment choices, Tucson takes to the street in style. It got everyone talking at the New York International Auto Show. See why. The right-size SUV is back and ready for more urban adventure.